The Versa Pro is a Professional-Strength Massager designed to tackle the muscles of your lower body. Use it on your feet, calves, quads and hamstrings, or turn it upright and use it on your lower back. 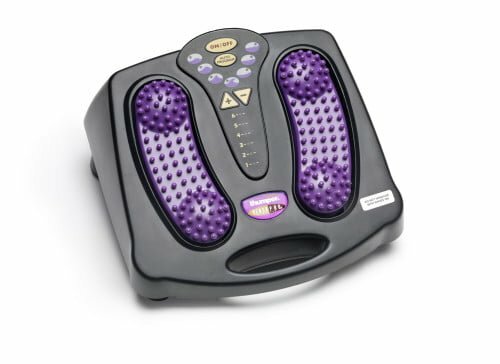 If you spend a lot of time on your feet and want to soothe your aching joints and muscles at the end of the day, this is the right massager for you. Also if you have limited mobility and find your feet tend to swell up and your joints stiffen, this may indicate a slowdown of your lymph system, the system that is responsible for carrying away waste from your cells. 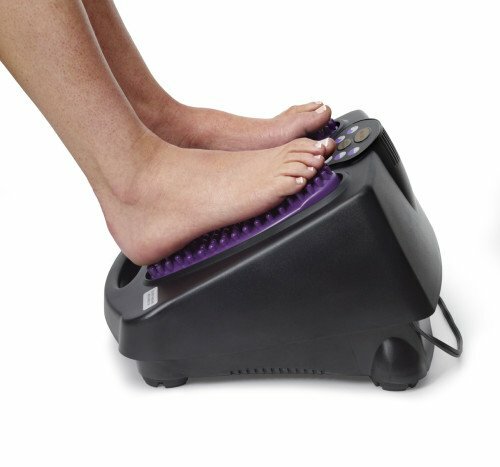 Using the Versa Pro will help reenergize your lymph system resulting in more supple joints and less swelling of the feet. Just sit back and relax, let Versa Pro do all the work; let it release your muscular tension and invigorate your tired, aching body. 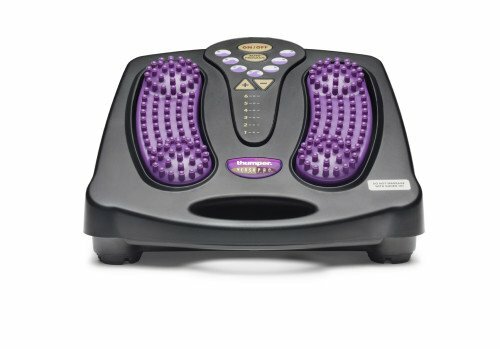 Choose any one of 13 different massage settings; select the desired speed setting or choose one of the 7 auto programs. You can operate the machine from the on-board controller, or from a hand held remote. People love it because they do not need to hold the machine. Self-leveling steel suspension automatically adjusts to different body parts for maximum penetration and relief. 184 acu-pressure nodes are powered by direct-drive Thumper action, speed adjustable from 16 to 30 pulses per second. You feel the healing massage of Versa Pro deep down throughout your body, not just on the skin surface. With 10 times the output of ordinary massagers, Versa Pro is a true Massager with Muscle™. Deep Tissue Massage with no Work. Let The Healing Begin. Patented Thumper Action combined with powerful DC motor sends energy trough entire kinetic chain from feet right to the hips. 184 acu-pressure massage nodes trigger nerve pressure points on the bottom of your feet, releasing tension throughout the body.